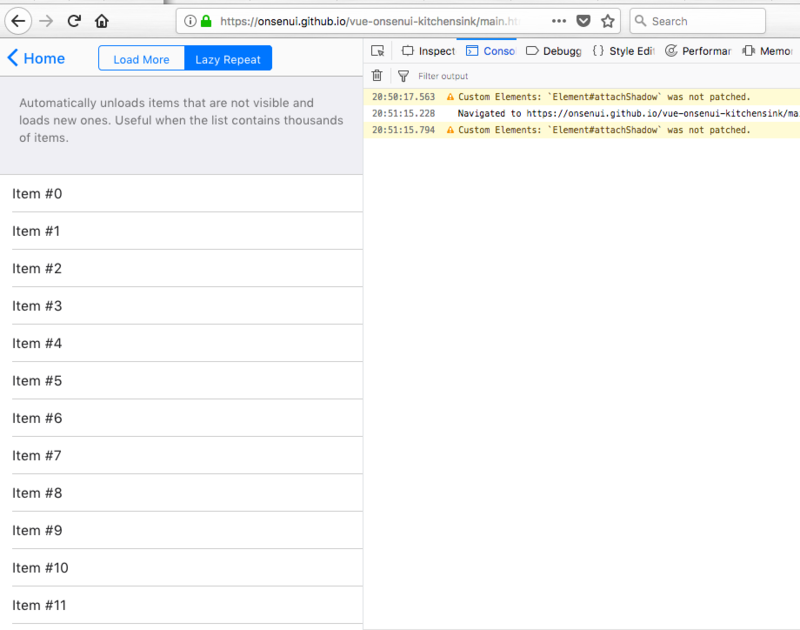 Vue Onsen UI Kitchen Sink App (https://onsenui.github.io/vue-onsenui-kitchensink/main.html?platform=ios) examples tabbar buttons not working on Mozilla Firefox. Im using OSX. 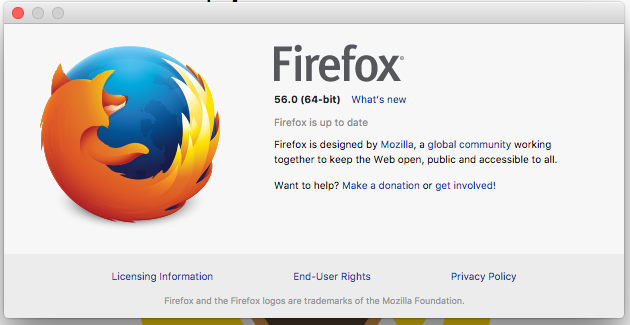 Maybe its a bug about Mozilla Firefox for Osx or is there a little bug? In my opinion there is a little CSS or JS bug.